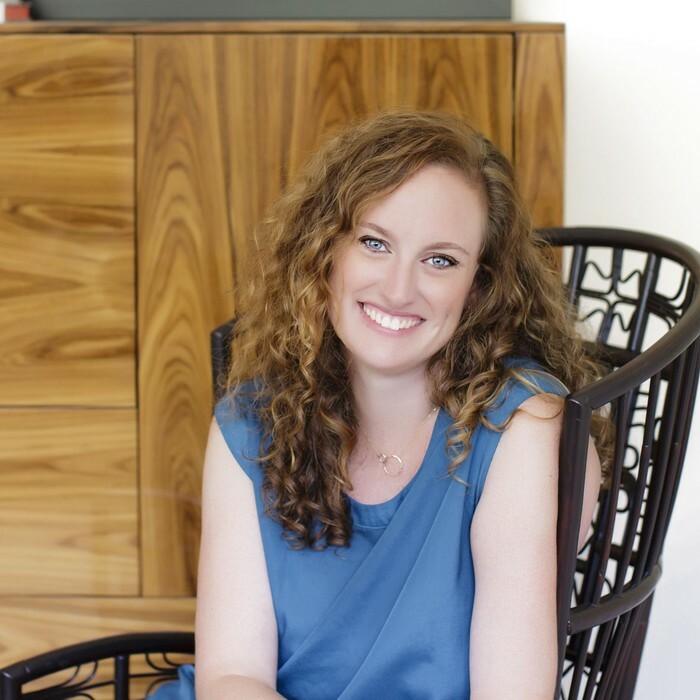 The Sean Stool keeps it simple and comfortable, but the simple profile can still be customized to fit your stylistic fancy. 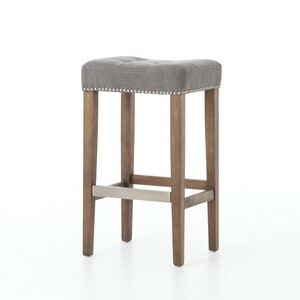 In either bar or counter height, this stool can be outfitted with Destroyed Black top-grain leather with an aged bronze kickplate and nailhead trim, gray Dark Moon cotton-blend fabric with pewter hardware or beige Desert Canvas cotton-blend fabric with antique-brass hardware. 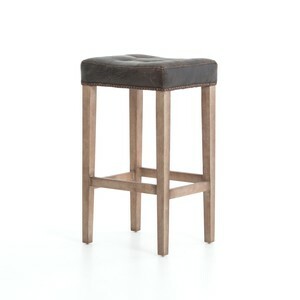 The legs of the leather-upholstered stool are whitewashed parawood, and in the fabric options, Aspen Grey nettlewood.